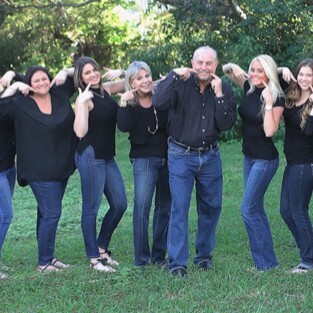 At Rozen Orthodontics, we go above and beyond to make you and your family feel comfortable in a warm and caring environment. In addition, we pride ourselves on being active members of our community and we love it! We are proud to serve the Coral Springs and Parkland community for over 25 years and counting. Our commitment to the community is evident through our many sponsorships and philanthropy, and we absolutely love giving back!! Here are just some of the reasons that will make you want to join the Rozen family along with the thousands of other patients that LOVE Rozen Orthodontics. 1. We take our work seriously but we pride ourselves in doing it in a fun way. Orthodontics is an experience that is meant to enhance the quality of life. You will be amazed at how achieving that beautiful smile can also be enjoyable and life changing. 2. Experience. The proof is in the love and compassion we have poured into all of the smiles created over the past 25 years . Don't take our word for it, our patients think so too. Just check out our patient reviews. 3. State of the art technology. In addition to our years of expertise, we are always on the cutting edge. Utilizing the latest advancements in orthodontics to make your treatment FAST and comfortable. "State of the art" is more than just a slogan, it is truly our way of thinking. 4. Our team is one of our greatest assets. We are highly motivated, long-term contributors and proud of the results we achieve together. We always strive for perfection, while creating a fun atmosphere for our patients. 5. Flexible payment options. We make achieving that rock star smile simple, affordable, and convenient for people of all ages. Your smile is yours forever, and we want to make it as easy as possible for you to receive the best orthodontic care whenever you need it. Come in for your complimentary consultation and see how easy we make it to #RockYourRozenSmile.